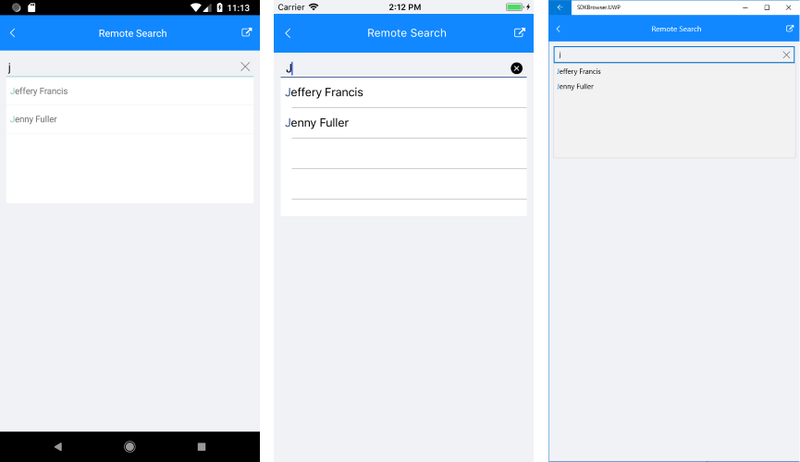 The Remote Search functionality of the RadAutoCompleteView control allows you to easily take the user input, trigger custom searching algorithm and assign the results to the ItemSource of the control. LoadingTemplate (DataTemplate): Defines the loading message. Implement your custom searching algorithm inside the body of the TextChanged event handler. <Label Text="No match was found for the specific search. Please try again." 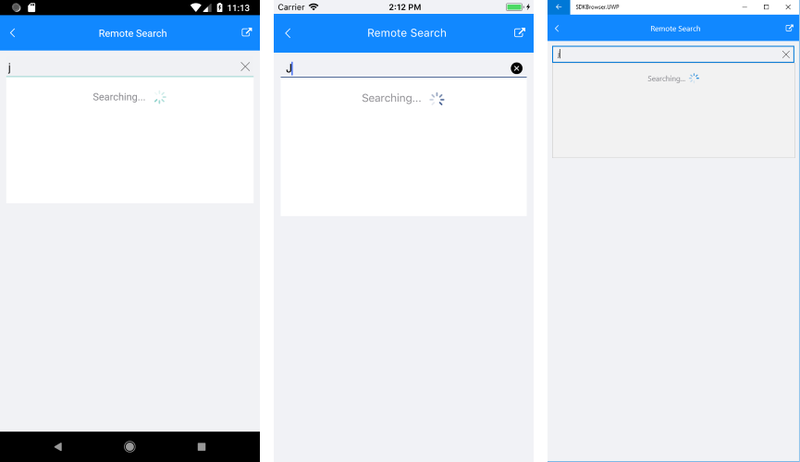 A sample Remote Search example can be found in the AutoCompleteView/Features folder of the SDK Samples Browser application.